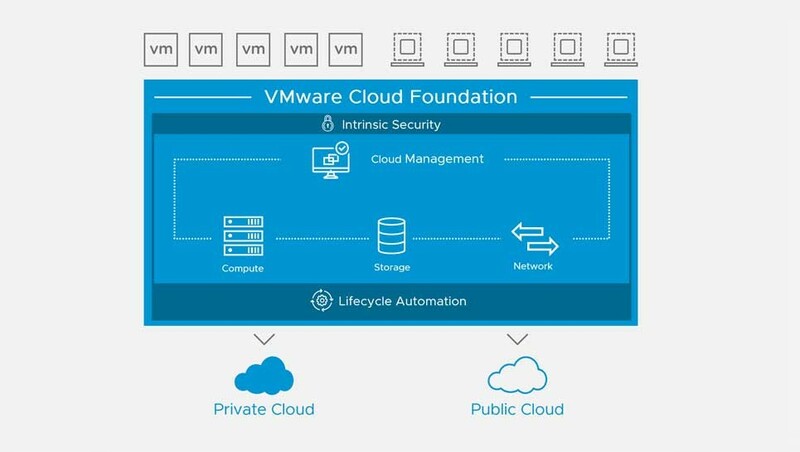 VMware Cloud Foundation is an integrated software platform that automates the deployment and lifecycle management of a complete software-defined data center (SDDC) on a standardized hyperconverged architecture. It can be deployed on premises on a broad range of supported hardware or consumed as a service in the public cloud (VMware Cloud on AWS or a VMware Cloud Provider). With the integrated cloud management capabilities, the end result is a hybrid cloud platform that can span private and public environments, offering a consistent operational model based on well-known VMware vSphere tools and processes, and the freedom to run apps anywhere without the complexity of app re-writing. Download the VMware Cloud Foundation Datasheet (PDF).